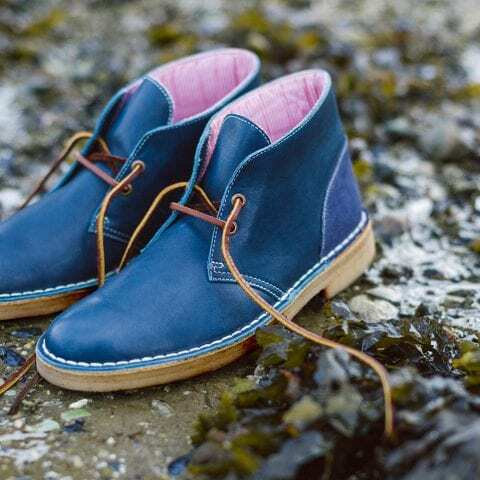 Iconic shoe brand Clarks Originals approached Un.titled to develop a socially-driven responsive website. Clarks Originals had an active presence on various social networks, but conversations were limited and a wealth of rich user-generated content around the brand was not being utilised. Clarks Originals identified a need for a platform that would allow them to engage with their customers online. Un.titled developed a platform that collates targeted social content in a single location as well as enabling Clarks Originals to generate original editorial content. Great work and really puts Un.titled in the agency of the year category for me. 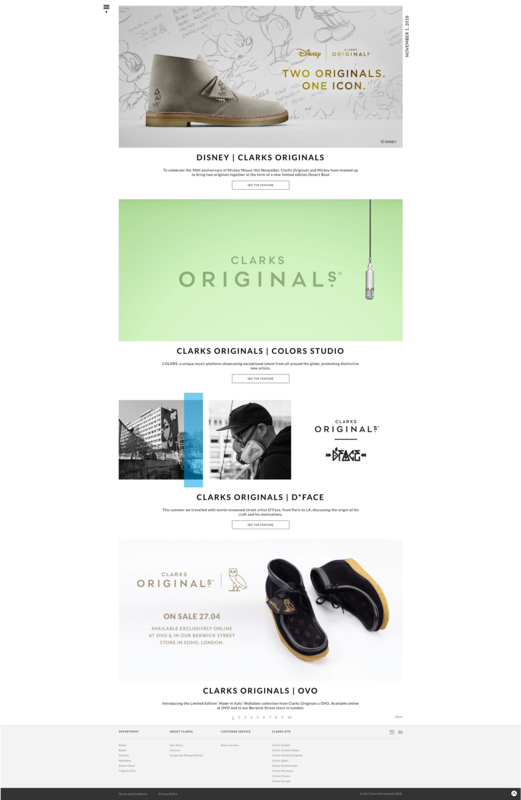 Across all platforms, Clarks Originals fans are a positive, vocal user-group who generate a wealth of content around the brand. The site is designed to leverage this user-generated content. Social content, both user-generated and that authored by Clarks Originals – as well as original editorial content – is aggregated into a single ‘feed’. This would serve as a single destination for Clarks Originals content online managed in a client-controlled environment. The feed will grow into a visually compelling content stream that can be quickly scanned for items of interest and will grow over time into a narrative of Clarks Originals content. 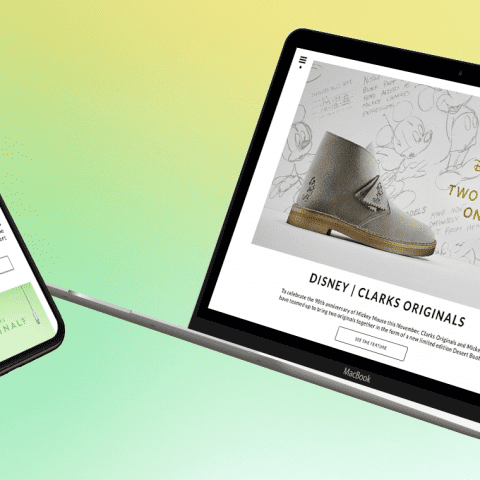 It was anticipated that close to 50% of visitors to the Clarks Originals website would be browsing on a mobile or tablet device. As such usability and performance on small screens was of paramount importance. We adopted a ‘mobile-first’ approach when it came to planning user journeys and user interface design. The interface had to provide order and structure to a myriad of content types without being obtrusive or otherwise getting in the way of the content. A light minimal interface takes a step back ensuring user-generated media and content takes a front seat. Similar content types can be grouped providing complete flexibility in content display. Grouped content blocks will elegantly collapse into a carousel on small screens, ensuring intent is maintained while remaining usable. Targeted social content from a variety of sources is delivered by the EngageSciences platform and pulled in WordPress for management and publication. Editorial and Lookbook content is created and managed in WordPress using flexible content blocks that allow for complete freedom in editorial publication, while ensuring brand consistency and retaining responsive behaviour. The Disqus social commenting tool is employed on editorial pages, allowing for rich social conversations.